Neil Island is a must visit for people visiting Andamans. It is gifted with unexplored coral reefs, variegated bio-diversity, golden sunny beaches and dense deep green tropical forests and vegetation. The moment you land on the Neil Island the first thing that will enchant your senses is the warm blue liquid colour of the surrounding seas. It ranges from a faint quaint blue to a deep darker sea-green blue to azure blue and cyan where you gaze at the water to find it thriving with a million miniature coloured fishes and enchanting corals. 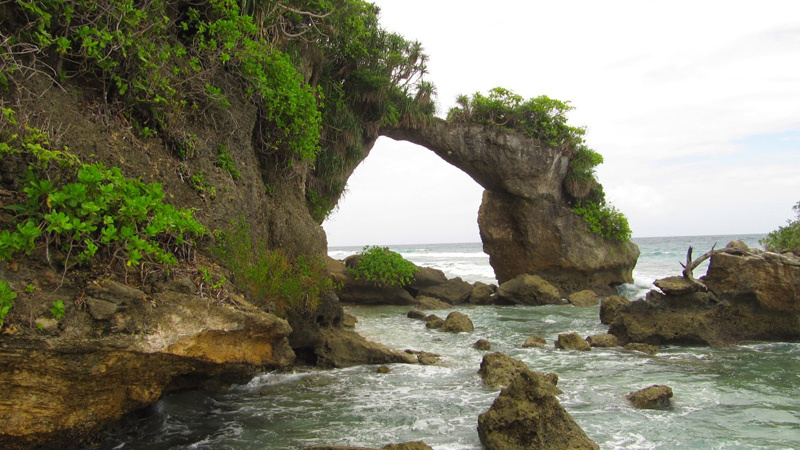 It is one of the favourite tourist destinations of Andamans and offers a memorable time spend in its heart. The early settlers of Neil Island have named its pristine beaches after the mythical characters of the renowned epic Ramayana. They are the Bharatpur, Laxmanpur, Sitapur and Ramnagar Beaches, each one unique and magnificent. This island is also known as the “vegetable bowl” of the Andamans as it grows a lot of vegetables in its fertile soil. This island is peaceful and has very humble and down-to-earth and simple living inhabitants who like to live a contended life with as much as is available to them. Port Blair has an international airport that is connected to the major Indian cities by air. It also has the Haddo Jetty which is connected to other big cities via ship or waterways. Neil Island is situated at a distance of 37 kms from Port Blair and there are ferry services running from Port Blair connecting Neil Island. From the Phoenix Bay jetty in Port Blair, regular speed boats or ferries operated by both Government and Private Boat operators run at regular intervals. Time taken to cover the distance between the two islands range from 1 hour to 45 minutes depending on the boat speed. Within the island, you have to depend on local means of transport such as auto rickshaws, taxis, cycles and motor bikes to move from one point to another. By Air – Port Blair, which is situated at a distance of 37 kms from Neil Island, has the international Veer Savarkar Airport. Once you land in Port Blair, you have to take a ferry service to reach Neil Island. By Train – Neil Island is in the midst of the Andamans Seas which is in the middle of Indian Ocean. There is no train connectivity. By Road/Cruise – Neil Island cannot be reached by road. There are cruise ships that connect Neil Island to the other islands of Andamans. The best time to visit Neil Island would be the winter months from October to March. Barring the monsoon months of June, July and August, Neil Island can be comfortably taken on stride any other month of the year. Neil Island has two excellent beach properties Pearl Park Beach Resort and Tango Resort with sea facing winds and the salt and sea freshly cocktailed with awesome views of sun rise and sun set from the beaches to give you a complete experience. There are other stay options of varied categories in this island. The beauty of Neil Island is such that you don’t need to do anything to enjoy your vacation. The laid back island life along with contented, simple-hearted islanders serving you with a smile is enough to make your stay pleasurable. Read a book, sip fresh green coconut water and eat the lip-smacking sea food delicacies from the beach shacks. Go for glass-bottom boat ride, scuba, power boat rides, snorkelling, sea-walking to make your stay adventurous. Swimming, cycling and game fishing can also give an interesting flavour to your stay. Neil Kendra – Neil Kendra is the hub of all activities. You come across this quaint and beautiful place when you land in this island from the ferry on to the jetty. It is village market and here the beach appears a silvery arc. The beach with the shallow blue sunny waters and the quaint fishing boats enfolds the jetty to form the Bharatpur Beach on the left and Laxmanpur Beach on its right. Laxmanpur Beach – This beautiful and quiet beach lies about 2 km north of the Neil jetty. It is a popular site for viewing sun set, snorkelling, sunbathing and swimming. The warm shallow waters harbour a lot of beautiful corals, ornamental fish, sea urchins, sea cucumbers and a varied multitude of other lively underwater animals. Bharatpur Beach – Bharatpur is also very famous for swimming and coral viewing and is a silvery white sandy stretch. Glass-bottom boats take you for a coral viewing trip and along with the innumerable colourful fish that swarm the waters this part. Sitapur Beach – This beach is towards the southern tip of the island. The sun rise from beach is absolutely stunning. The vegetation cover is extremely picturesque and coupled with magnificent limestone formations forms a scenic backdrop. Natural Rock Formation – The natural rock formation draws a lot of curious tourists. It looks like a bridge and is named after the famous Howrah Bridge of Kolkata and can be approached during low tide. Sir Hugh Rose Island – It is a tiny island at the southern tip of Neil Island and is locally called Chhota Neil. It is a protected island as it is a turtle-nesting ground. For day visits to this interesting island, permission has to be obtained from the Deputy Range Officer, Forest Department.